The Lynne Chilver School of dancing has been established for over 30 years and offers the highest standard of training to children in a creative and happy environment. All teachers are very experienced and we have achieved excellent exam results at all levels with the three leading UK examination bodies. Past students have gone on to perform in shows in the West End, all over the UK and abroad. Festival successes include winning entries at national level at the All England Dance Finals in London. 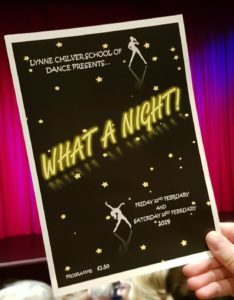 Every student participates in our show which is held every two years at the Beck Theatre in Hayes and which is the highlight of the calendar year for us. There is a new timetable starting 24th April as we return from the Easter break. Videos of the show are still available as digital downloads.